Richard Milner is the author of "Start Where You Are But Don't Stay There" and an Associate Professor of Education at Vanderbilt University. His recent Commentary in EdWeek (May 6, 2011) "Let's Focus on Gaps in Opportunity, Not Achievement" inspired us to ask him more about overcoming the opportunity gap. Q: In your EdWeek commentary, you differentiate between the opportunity gap and the achievement gap. Can you briefly explain what you mean by this? A: I mean that we sometimes place so much emphasis on the outcome (mainly a test score) that we do not necessarily spend enough time thinking about why disparities exist. What opportunities do students have in different social contexts to succeed? Do they have qualified teachers? How many years of teaching experience do their teachers have? What resources are available to students and teachers? How supportive are administrators to teachers and students? In short, what is the opportunity structure that shape student performance on these examinations? I believe we need to focus more on the opportunities, the processes and structures, that shape students’ success and failures. Q: Do you consider out-of-school programs a viable way to close the opportunity gap? Can you explain why or why not? A: We know that students can lose important learning and growth over the summer months for instance. Out-of-school programs can make a huge difference in terms of helping students build knowledge in their courses and also their social and communication skills. I would urge programs to continue developing evidence of their usefulness, not only related to academics but other important skills necessary for students to succeed in society such as social skills, study skills, communication skills, conflict resolution skills, and perhaps most importantly social justice orientations and skills. It is critical that students feel empowered to change and challenge negative and inequitable situations that show up in their communities. Q: If afterschool programs want to be serious about closing the opportunity gap, what should they be thinking about or doing? Q: In the Learning in Afterschool Project, we promote learning that is “active, collaborative, meaningful, supports mastery, and expands horizons.” (you may review our position here) In what ways do you believe these principles align with your notion of necessary learning opportunities? A: I believe your vision is aligned well with what we know about good teaching and meaningful learning. While there is some high quality teaching (building on some of what you have outlined above) that takes place in some classrooms, there is also some very poor instruction that takes place in other classrooms. Teacher learning does not end once he or she graduates from a teacher training program. Ongoing professional development focused explicitly on high quality instruction and coupled with some of the ideas you outline above are critical for success. In a similar way, afterschool and out-of-school instruction needs to be constructed in a way that is consistent and sustained with high quality instruction as well. In other words, how are teachers, mentors, and facilitators trained to ensure “active, collaborative, meaningful, supports mastery, and expands horizons” are actualized in afterschool programs? Q: In your commentary, you discuss the absence of opportunities for low-income youth of color. Can you say more about this? A: In a general sense, I believe those of us in U.S. society as well as in education struggle to have the tough conversations regarding issues of socio-economic status (SES), gender, geography, and race. These are the very difficult conversations that we need to engage because when we disaggregate data on standardized tests, we realize there is something happening. Students from higher SES typically outperform students from lower SES. The same point is true for race and ethnicity. African American and Latino students typically do not perform as well as White students. The question is why. No group of students is intellectually superior to another from a biological or genetic perspective. Yet, we see these disparities. One of the reasons is because of what we are and are not doing and talking about in schools and classrooms (both among adults and students). Until we engage the hard topics and the difficult conversations, we will continue to see, I believe, huge disparities between and among certain groups of students. Still, having the conversation is only part of the challenge. Doing something about what is learned is another. Q: Who’s getting it right? What states or cities or organizations are making headway in addressing the opportunity gap? A: I am reluctant to name particular schools, organizations, or states that are “getting it right” because I realize there are so many factors that go into understanding and addressing opportunity gaps. I showcase teachers in my new book who, I believe, are getting it right or at least close to it. However, I understand that the reasons are numerous, nuanced, and complex. What I will say is that we should perhaps start by looking in on what particular teachers and administrators are doing and then we need to work at changing entire systems, schools, districts, and states. We need to understand that all students can learn, should be empowered to reach their full capacity to live and learn, and have the right to be taught by teachers who care about them and refuse to let them fail. H. Richard Milner IV is an associate professor of education at Vanderbilt University, in Nashville, Tenn. 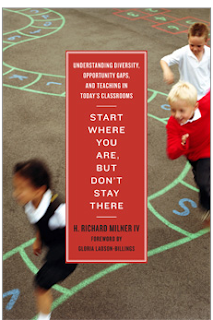 He is the author of Start Where You Are, But Don’t Stay There: Understanding Diversity, Opportunity Gaps, and Teaching in Today’s Classrooms (Harvard Education Press, 2010). He can be reached at rich.milner@vanderbilt.edu. 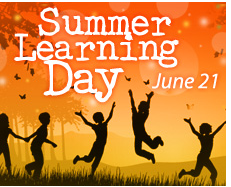 June 21st is National Summer Learning Day. Summer time programs offer an excellent opportunity to put in place the Learning in Afterschool Learning Principles. Summer programs often have longer hours and greater flexibility than traditional afterschool programs that operate during the school year. For the latest research on the benefits of summer learning, read this Wallace Foundation report published by the RAND corporation. California is marking Summer Learning Day with a flagship event in Sacramento. To learn more about this event, see the blog entry by Jennifer Peck of Partnership for Children and Youth. For information regarding Bay Area activities, check out this interactive map. In our previous posting, we discussed the importance of afterschool learning in continuation high school settings. Nowhere is the opportunity for afterschool learning more important. Many of these youth face a number of challenges in their lives and are often highly disengaged, having failed in and been failed by the traditional school system. These youth clearly need more – more caring adults who know them, more ways to complete the requirements for graduation, and more preparation for life after high school. Afterschool programs that model the Learning in Afterschool learning principles are well positioned to help this population of youth as well as the continuation schools that work to serve them. Below are policy recommendations that will ensure the support of these programs. The expectations regarding program attendance, adult-to-student ratio, and cost per student should be amended for programs operating in continuation high schools. This is because they serve a higher concentration of high-risk youth, there are fewer resources afforded by the school, and the school structure and schedule is very different than a comprehensive high school. There should be a focused attempt to coordinate other relevant funding streams that target high-risk youth and which could bring supplemental services to the youth and the program. This includes funding that promotes healthy choices, the prevention of high-risk behavior, mental and physical health, career preparation, college access, etc. Because of the “last chance” nature that these settings represent, it is important that these afterschool programs work very closely, almost merging with the continuation school. This “extended day” way of working could be easily misinterpreted as using the afterschool resources to supplant the responsibilities of the regular school day. It is recommended that policies are in place that do not penalize stakeholders in developing a closely aligned, extended day model. Finally, there should be efforts to build bridges between the programs that serve continuation high school youth and those that serve young adults who are 19 years and older. Often, young people beyond the age of 18 are no longer supported by local programs. As a result, the only systems that exist for these youth are ones that come into play after they’ve gotten in trouble. 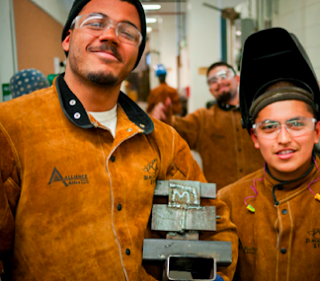 A good example of a positive program supporting young adults is the Special Foundation Course and separate learning communities that exist at Las Positas Community College in Livermore, CA. This course and subsequent learning community provides extra support to high risk, disengaged youth who entered the college, many from continuation high schools. In May 2011, Woodcraft Rangers, the Los Angeles based afterschool program, published the results of an in-depth study of its Nvision afterschool programs, covering 43 elementary and 14 middle school sites. The study, entitled Assessment of Program Quality and Youth Outcomes: A Study of the Woodcraft Rangers’ Nvision Afterschool Program is one of the few ever conducted to directly measure program quality and its impact on student academic and behavioral outcomes. While past studies conducted by the afterschool community have shown that regular attendance in high quality afterschool programs is associated with positive development outcomes for school-age youth, rarely have they directly tested the relationships between afterschool program quality and student outcomes. Using quality and outcome data from the Nvision 2008/2009 program year, the Woodcraft study primarily sought to explore the implementation of the Nvision afterschool program model at various sites, and to examine whether and how quality is associated with student outcomes. Areas used for assessing quality fell into five general categories: Activities, Collaboration, Staffing, School partnership, and Youth involvement. Using a unique and sophisticated algorithm, study findings were able to define the meaning of “quality” while producing measureable results and program improvement information that can be implemented by management. Significantly, the study confirmed that afterschool program quality impacts youth outcomes even beyond demographics and participation level, especially at the middle-school level. The findings further show that youth leadership in the program is critical to changing outcomes at the middle-school level, while additional adult involvement in club activities is more important at elementary sites. The importance of this study is the confirmation that afterschool program quality needs to be understood and defined in terms of outcomes. Results show that quality is not a one-size fits all proposition, and that expectations differ between elementary and middle school outcomes. This study has given Woodcraft a foundation for assessing quality in a way that will help maximize the effectiveness of the Nvision program, making each site truly responsive to the needs of its students and helping them to explore pathways to purposeful lives. It also provides a roadmap for other organizations to follow in evaluating their programs, using the results to guide their quality measures (and related action steps) and improve their own outcomes. Woodcraft Rangers’ Chief Executive Officer Cathie Mostovoy has more than 20 years of experience delivering, administering and advocating for after school and educational services for young people in need. 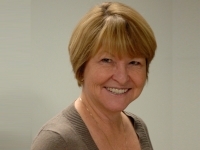 Cathie received her Bachelor of Arts degree in Child Development from California State University, Los Angeles, and earned her Masters of Education in Counseling from Loyola Marymount University. Woodcraft Rangers serves more than 18,000 students from 70 locations in high-need neighborhoods of Los Angeles County.